The most cost-effective full arch rehabilitation option, giving a permanent solution for denture wearers with teeth that look & feel like your own. 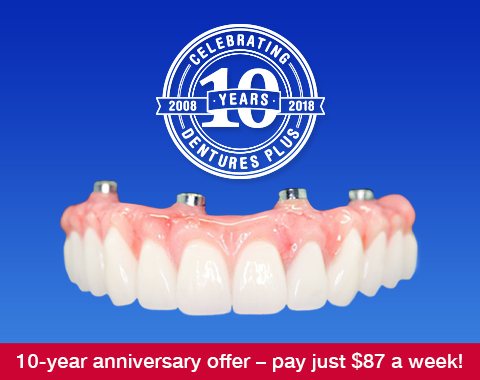 Pay just $87 a week* with dental finance and say goodbye to your old, uncomfortable dentures! Terms & Conditions apply. The Four-under-One Full Arch Rehab on 4 implants increases the effectiveness of implants by using a specific placement technique to provide maximum stability and time efficiency. The Full Arch Rehab on Four Dental Implants procedure is an advanced, technically innovative procedure where a fixed bridge is supported by only four dental implants placed in the jawbone. The Four-under-One (Full Arch Rehab) can be used in either the lower or upper jaw, giving you teeth that look and feel like your own. Available at all clinics: Joondalup, Leeming, Maddington and Leederville. We’ll beat any WA Dental Clinic Implant quote! If you’ve received a cheaper dental implant quote from another WA clinic, show it to us & we’ll beat it! Terms & conditions apply. See below for more details. With the Four-under-One, you hardly have to wait. Unlike other procedures which may take several months’ healing time, the Four-under-One can be completed within one or two days. 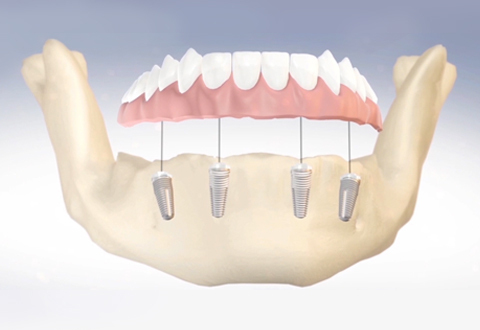 Soon after the implants are placed below the gum line in the jawbone, the fixed bridge will be permanently secured to the implants (via abutments). The conventional healing time is not necessary as the immediate load from your new bridge will encourage bone healing. While the Four-under-One procedure is not cheap, it is cost-effective in as much as fewer implants are required, and, as the procedure is permanent, it puts an end to costly repairs to badly damaged teeth, dentures, ongoing relines, pain medications – and poor health. Due to the innovative techniques of the Four-under-One, some individuals who cannot have conventional implants because of poor bone quality may not require costly bone grafts before the procedure. 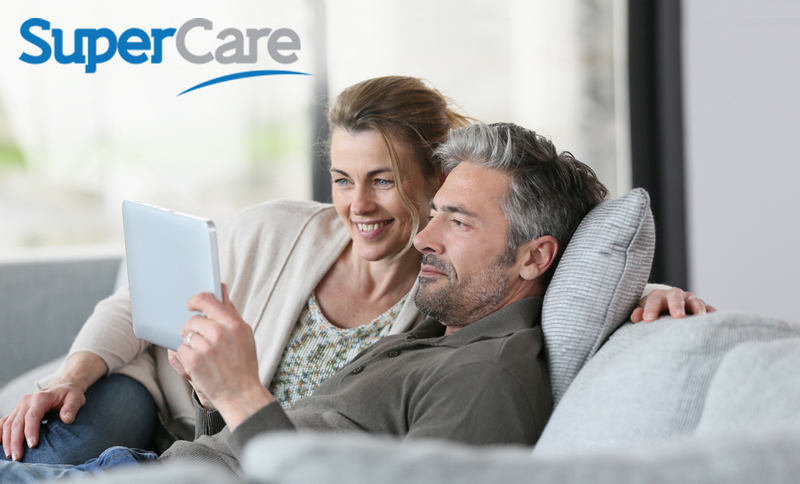 An investment in the Four-under-One (Full Arch Rehab on Four Dental Implants) is no more than the price of a car, with life-changing benefits that keep giving back. Not all patients are suitable for this treatment. The dentist has absolute discretion on what is suitable for you and may refuse treatment for any reason. We’ll beat any WA dental implant quote! Wouldn’t you like to say goodbye to dentures?